Searching for Hydronic Heating System Point Cook? Choose the experts of 24 Hours Plumbing for best and active services. We are a reputed company and appreciated for our professional work or hard-working staff. Our professionals are active and hard-working to provide best services such as hydronic heating services, Hydronic system installation, Best Hydronic Heating system Point Cook, Hydronic system repairs, hydronic system servicing, etc. We also provide the same day of services. 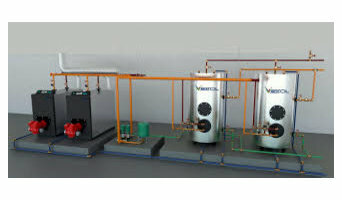 Our service providers are determined to give all types of services of Hydronic Heating System Point Cook. We try to provide full satisfaction with our professional services. We have experienced mechanics. So, call us on 1300998126 immediately and get free quotes on our services. Are you looking for an advanced and reputed company for duct cleaning Geelong? Come to Marks Duct Cleaning. The professional duct cleaners of our teams are highly experienced and are aware of all the possible ways to remove the glitches from your air duct systems. It is our years of expertise,dedication and hard work, that makes us a pioneering name in the Air duct cleaning Geelong industry. Whether there are the bad smells coming out of your ducts or you are experiencing dust particles in the air across home, our team can help. So, when looking for the best company for duct cleaning services look no further than Marks Duct Cleaners. CMS ( Clean Master Sydney) is the topmost company for the duct cleaning services in Geelong. We have been serving in Geelong for more than 20 years and our services have been effective and trustable can be proven with the fact that our customer base has increased three folds in the last five years. Our dedicated services include the Duct steam cleaning, Duct Stain Removal and also we have repair services for the damaged ducts. You can call on our number or book us online and get the best duct cleaning services available in the nearby. We will assure that you get the best results. Are you searching for the best company for duct cleaning Geelong? Come to Deluxe Duct Cleaning. We have been serving in the business for more than 10 years and all the possible ways to bring the filth and debris out of your duct systems. 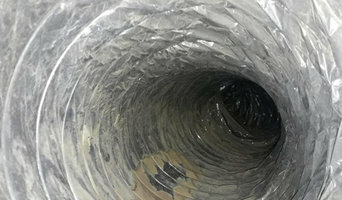 We have an expert team of ducted heating cleaning Geelong that delivers you the best services for dryer duct cleaning. In case if you want the same day duct cleaning services, we can also help. Being an expert team we know how to satisfy our customers. 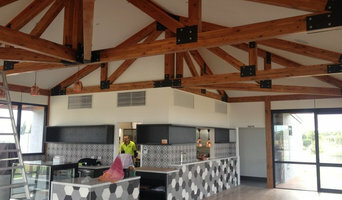 We offer commercial as well as home duct cleaning services in Geelong. Call now to make your instant booking. 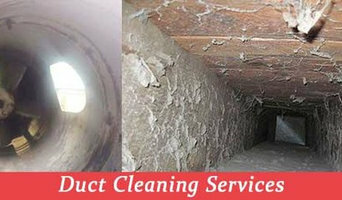 Searching for genuine duct cleaning services? Well, your search ends with us! Mark's Duct Cleaning is giving the most superior cleaning services to all regions of Essendon for the past two decades. Our Professional Duct Cleaners are reliable and their services are safe and secure. Duct Cleaning Essendon has impressed its customer always with their quality services and made the possibility for them to breath fresh and clean air, helping them to save themselves from airborne diseases. Our Professional Duct Cleaners understand duct issues better than others. So, contact us <a rel="nofollow" target="_blank" href="https://www.marksductcleaning.com.au/get-a-free-quote/">https://www.marksductcleaning.com.au/get-a-free-quote/</a>. 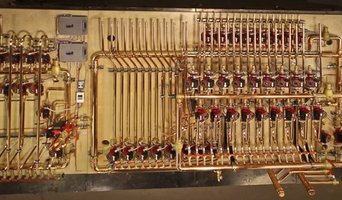 Plumbers and Electricians provide services for the hydronic heating system. We are a team of experts who offer different services such as installation, repair services and maintenance for Hot Water Systems in Point Cook. We have been delivering quality hydronic heating services for more than 20 years all across Point Cook and we have made a lot of satisfied customers. You can rely on our professional experts for services like Pumps repairs, Pumps replacement and Control systems repairs etc. To make a booking of our services online you can visit us. We will ensure that you get the service provider on time and get done with the services for which you booked. Airport west Motor Repairs is a local Car Servicing and car restoration centre located in Airport West. APW motor repairs is Provid services like repair & safeguarding for all makes & model with Roadworthy Certificate. Airport West Service Centre take great pride in submission their clients personalised, and open service at all times. easily placed in Airport West. We are also experts in all Services plus the Mechanical Repairs, Logbook Servicing, Car Restoration. Airport West Service Centre Airport West will take care of your whole vehicle, from tyres to all your mechanical needs. We pride ourselves on friendly and honest customer service. For more info about centre Call us today (03) 9330 0255 ! Melbourne based company Ultimate Air Heating & Cooling providing the best brands of split systems, ducted refrigeration, multi head, ducted heating, evaporative cooling and hydronic heating systems. We pride ourselves to deliver the best customer service to ensure the satisfaction in the design, supply, installation, service and maintenance of all types of heating and cooling systems our past, present and future customers might purchase. From the inner city of Melbourne to Mornington Peninsula or Geelong and the Surf Coast, No Job is too big or too small. At Ultimate Air every installation comes with a lifetime warranty which reflects on our confidence in the high quality of our design, installation and product materials. At home, Australians use, on average, 40 per cent of energy on heating and cooling, so it’s wise to seek expert advice from a HVAC contractor in Geelong, Victoria on the most economical systems and models for your home. Your climate, the type of model you use and where you position it, for instance, will make a big different to your home’s comfort and how much energy you use. A HVAC contractor can also advise you on the best reverse cycle air conditioners, heat pumps, hydronic central heating and gas heating. Should you or anyone in your family suffer from allergies, they are also knowledgeable of the best anti-allergen filters and will be able to change your air conditioner’s filters, clean ducts or remove any debris around units. Other areas of expertise include refrigeration work, pool heating and dehumidification. Find heating and air conditioning contractors on Houzz. Look in the Professionals section of our website and search for Geelong, Victoria Heating and Air Conditioning contractors. Read reviews and see how a HVAC contractor might approach your Geelong, Victoria home’s heating and cooling challenges.